Welcome to the PTI Countdown! Today we are showcasing the new stamps, die and paper pack for the Monthly Moments: October. I have a fun and quick little card I whipped up with a teacher in mind. I love giving our teachers little gifts and I always love to include a handmade card....of course! I used the new papers in the background and then layered on some stamped images. I just love this little pumpkin and how easy he is to make into a jack-o-lantern. I added in a popped up sentiment and a little twine bow. I just love the patterns in the paper pack and with such fun colors! This is such a fun week and we have lots more to go! I hope you will come back soon and check things out. Check out the rest of the Design Team for more Monthly Moments: Inspiration. I hope to see you soon! Lots more PTI goodness coming up! Have a great day! Adorable Halloween card, Laurie! Your layout is fantastic and the combination of patterned papers is super fun! Your kid's teachers must just love you - and your cards! Adorable! Hey Laurie! I love your clean and simple card!! So pretty! That pattern paper is so cute! Nicely done!! I love this card! its so adorable but also so crisp and clean. wonderful design! Such a fun Halloween card you "whipped" up, Laurie. You make it look so easy but always wonder why I didn't think of your design or color combos. Love! Cute card, Laurie! I LOVE all of the little details! Feeling like fall in your neck of the woods??? And how 'bout them Royals!!! 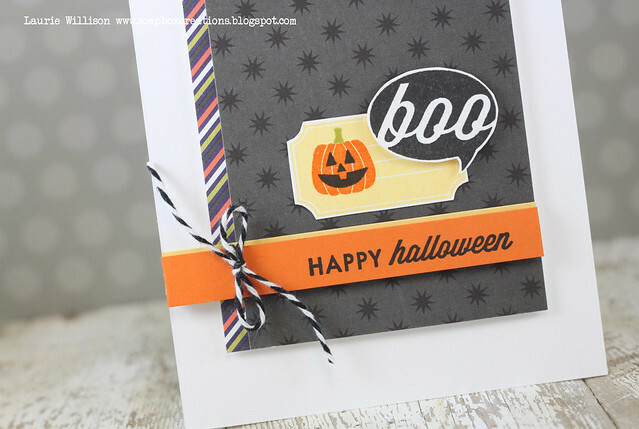 Love your cute Halloween card, Laurie!!! 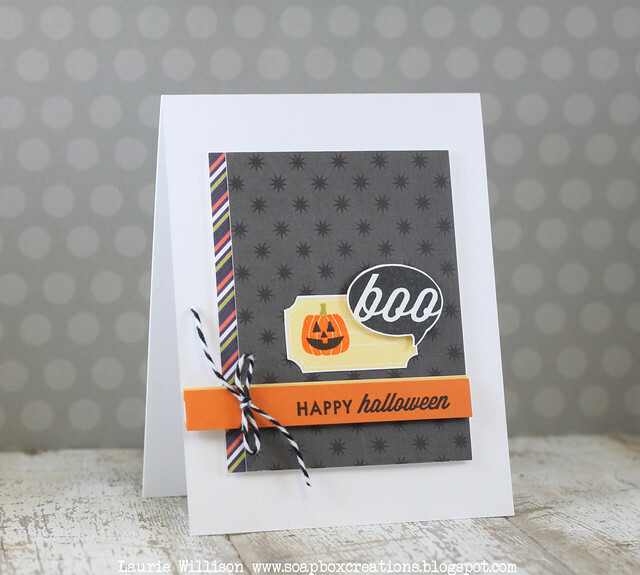 Love how you created this fun card Laurie!